realistically detailed with elegant long horns and beard, it reclines, turning its head up towards its left, eyes inlaid in horn -- 1 9/16in. (3.9cm.) long. 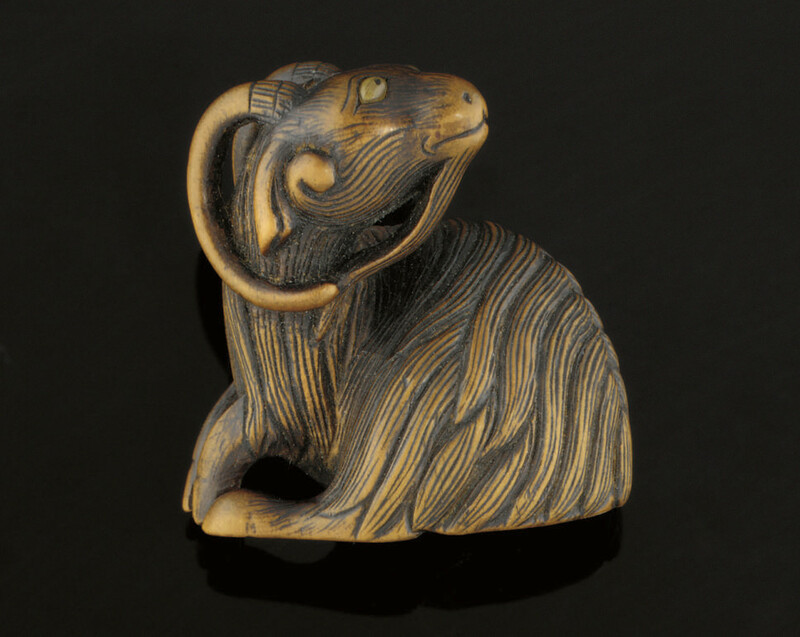 Another netsuke by the same artist, of an ox carved in ebony, is recorded in the Meinertzhagen Card Index, edited by George Lazarnick, vol.2 page 715.